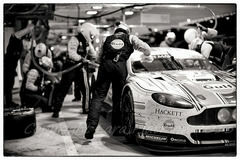 As a photojournalist I am very privileged to attend some of the world’s most celebrated motoring events and the 24 Hours du Mans is indeed one of these. 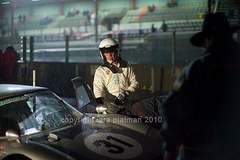 However, as a photojournalist I often find myself arriving at these events through some dubious means, often I hitch hike – (as I did on this occasion through Twitter) – or conversely arrive in fabulous style as I did with the Grand Prix de Monaco Historic (in an Aston Martin). Whilst screaming at the television during the Lemans 24hr three weeks ago, watching Andre Lotterer tactfully win in the Audi, I realised the reason for my screaming is that I really wanted to be there, be in that pit lane, photographing all the action. For I love the drama of all the mechanics, drivers, crew all working together making the team as best it can, always ready for the driver to drop in and fly out.